1. Göreme Open-Air Museum – I put this first as it best captures the history of this place. In a relatively small area you will see a lifetime’s quota of cave churches and paintings. This is one of those places you must see once, but like a suspense movie it loses its allure once you know the ending. The entrance is 15TL per person and an audio tour is available for 5TL. They have signs in multiple languages so the need for the audio tour is questionable. Only you know if you prefer to read or to listen. There is one church within the park that you pay extra to visit. I have not seen it as I have not found it worth the extra 8TL, but I have a friend who went in and was glad he did. 2. Underground Cities: Derinkuyu, Kaymakli,… – There are many underground cities but these are the two most famous, most visited. Derinkuyu is the deepest (around 8 stories) and Kaymakli is the broadest. There is no signage in either so hiring a guide is recommended. If you go on your own, you will find a guide waiting after you enter the tunnels. You can negotiate a price. The entry fee is 15TL per person. You can book a day tour through your hotel (or a travel agent) that will go to Derenkuyu and Ihlara (among other places) for around 70TL per person which includes transportation, a guide, and lunch. You only need to see one of these. Towns: The towns of Cappadocia each have their own unique flavor. I wrote about 10 of the towns here, but in this list I will focus on the three most popular stops. They are worth visiting for the shopping (but do not expect to find unique items in the “center-of-town” shops) which helps the local economy as most of the shops and restaurants are locally owned and operated. And with this list you have enough to keep you busy for at least a week. The reality is that you could find a different thing to do and see every day for a year in Cappadocia. But since most of you do not have that kind of time, I have tried to make it easy for you. I will elaborate on these and more sites in future posts. 3. Göreme – Fairy Chimneys, hotels, restaurants, carpet and antique shops and those who work in them is what you will find in the quaint town of Göreme, barely bigger than a village. The people are friendly and this is a good place to buy a carpet if you are looking for one. 4. Avanos – This river side town is the Mecca for pottery with master potters setting up shop on every corner. You should definitely visit one of the shops but be careful not to get ripped off. I would recommend the smaller shops as mentioned in this post. If you go to a big shop, only buy a piece made by the master as it will be the only unique item in the shop. Also, feel free to take advantage of the opportunity to get a free lesson and try to throw your own pot. 5. Ürgüp – The biggest and most developed of the three towns, Ürgüp is full of shops, cafes and hotels like Göreme, only about five times bigger. The main shopping area of the town is hurting as fewer and fewer tourists walk the streets. Tour groups generally do not just walk to random shops as they have tight schedules and set stores. This means that Ürgüp’s shop owners are feeling a bit desperate. If you are a good bargainer, you should be able to get some deals. 6. Valleys: Love, Rose/Red Imagination, Pigeon – These three stunning valleys are centrally located between Uçhisar and Çavuşin. If you have a couple of hours, pick one and hike it. Be sure to bring your camera and a bottle of water. Our family loves hiking all three of these wonders. 7. Çavuşin Churches – Living in this village means we have spent many hours hiking around these churches. As you hike to the top be sure to greet Halil Abi and his daughter, Seda, and have a cup of tea in their blue snack shack halfway up the hill. Also, put away your fear and hike around the swiss cheese rock. You will find the views and the hidden rooms quite worth the risk. Hanging out a bit in the center of town and connecting with some of the old men drinking tea will make a good memory as well. 8. 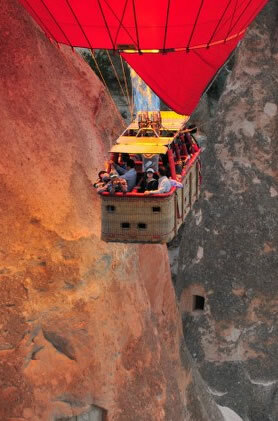 Hisars: Ortahisar and Uçhisar – Two more towns in the center of the region (near Ürgüp and Göreme respectively) are worth visiting for their climbable rock towers. Be sure to go on clear days as the view is breathtaking. The entrance fee for Uçhisar is 5TL. I am not sure about Ortahisar, but it is not more than 5TL. 9. Ihlara Valley – This is a bit harder to get to (unless you join a tour – see #2 above) but is well worth it. Start in Ihlara and descend into the valley. From the bottom you follow the river through lush vegetation with steep cave-filled cliffs rising up to the sky on both sides. About halfway you will find a cafe. From their you can keep walking and hope to catch a ride back or turn around. The tour will pick you up. When we went I hitchhiked back to Ihlara from the cafe. As I said in this earlier post, in the summer bring your bathing suit. 10. Paşabag & Zelve Open-Air Museum – Most people would put these higher up the list. 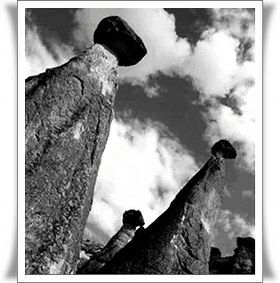 In Paşabag you will find maybe the best collection of Fairy Chimneys and no entry fee. Zelve charges 5TL per person. I have put these at the end because of the tourist trap feel of Paşabag. I am put off by the sense that the sellers only see wallets when they look at people. I wrote about this before. Many of the sellers are personal friends, but I do not appreciate their attitudes. I would love to see this change. If this does not bother you, then you should definitely visit these areas. Zelve may be getting an unfair rap here. You will have to decided and let me know.